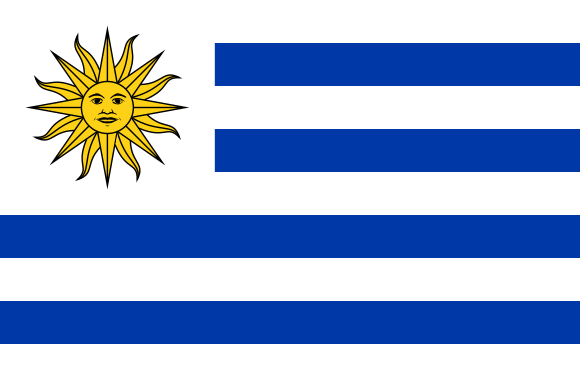 I appreciate and thank you for your cordial note in which you kindly request permission from the Uruguayan State to symbolically place an ice crown on behalf of our country in Antarctica within the framework of the expedition that you will lead. 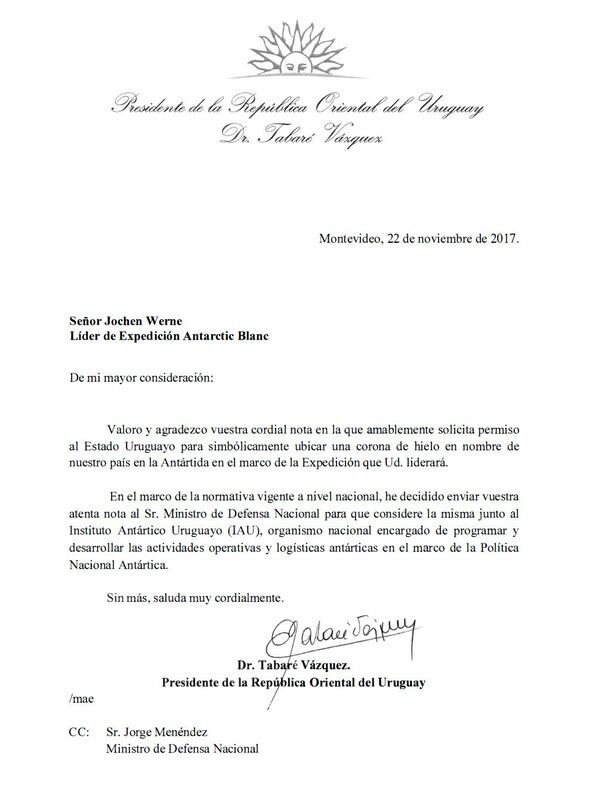 Within the framework of the regulations in force at the national level, I have decided to send your attentive note to the Minister of National Defense so that he may consider it together with the Uruguayan Antarctic Institute (IAU), the national agency responsible for programming and developing operational and logistic activities. Antarctic within the framework of the Antarctic National Policy.